Over: A feature-rich and mobile-ready theme based on Bootstrap 4. 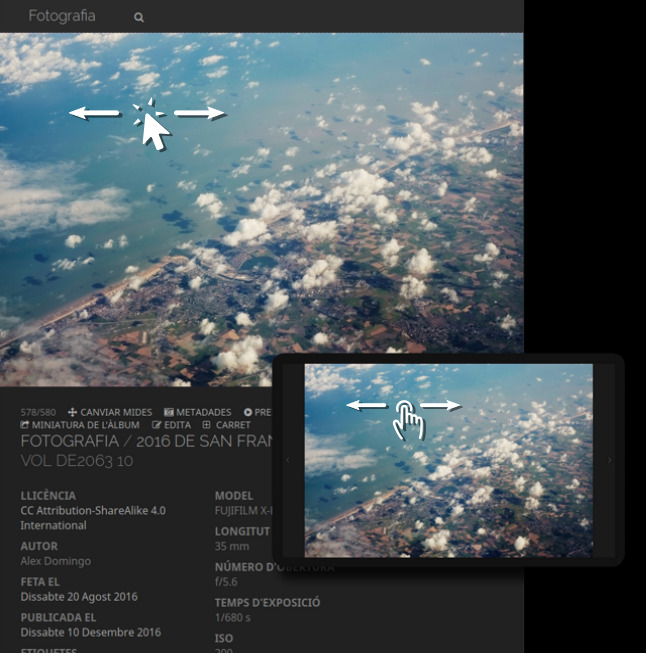 Over: Versa is a responsive dark theme for modern browsers that maximises the visualization of photographs. The picture page adapts to the browser window and the photograph is displayed using the largest available space. 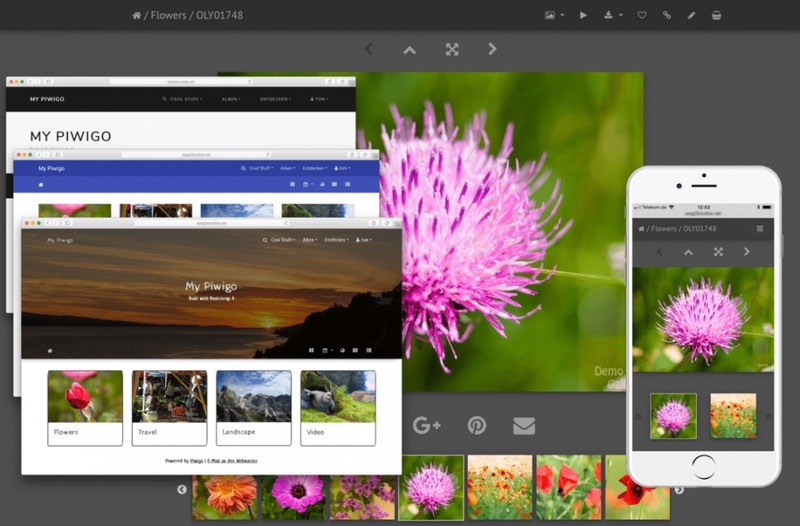 Therefore, this theme works in both mobile and desktop and allows to easily browse the gallery with fullscreen pictures by rotating the screen or resizing the window. - In landscape mode (or wide windows) the photograph fills the screen. The information and comments of the photograph are accessible by scrolling the page. - In portrait mode (or tall windows) the top part of the screen shows the full image and the bottom part its information and comments. In either mode and on both desktop and mobile, it is possible to navigate the gallery by a single swipe gesture, dragging the image with the mouse or clicking/taping the sides of the image. Slideshows adapt to the medium in a similar way, but switch the navigation to their corresponding controls. 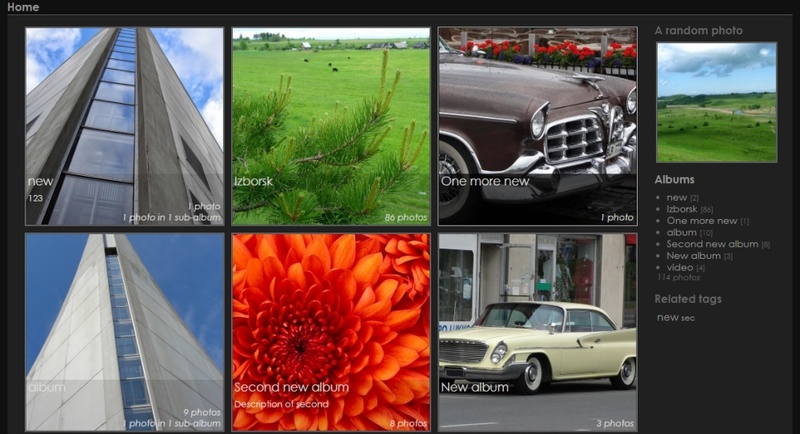 Thumbnails on the index and albums pages are scaled to fit the browser window as well. To ensure the quality of the images shown, the pictures and thumbnails are downscaled only, never upscaled. - Settings related to picture sizes only define the maximum size of the image in this theme, as they are dynamically downscaled to fit the browser window. - Set the size of the thumbnails to be between 1.5x and 2.0x larger than the desired size. For instance, 400x400 will result in thumbnails around 300x300 in size (varying between 200 and 400 px). This is needed for the dynamic scaling of the thumbnails. *Beta status* This theme was developed originally for my personal site. Even though I think it is now in a sufficiently mature state to be shared, be warned that I do not have the resources to test all possible configurations. Therefore, bugs may appear on other ends. - Tested browsers: Firefox on Linux, Firefox on Android, Chrome on Android, Safari on iOS. - Tested compatible plugins: Batch Downloader, Community, Exif View, PWG Stuffs, Simple Copyright, GThumb+. Over: 'Stripped' theme with responsive thumbnails. Vertical menu adapted for mobile devices and small screens. 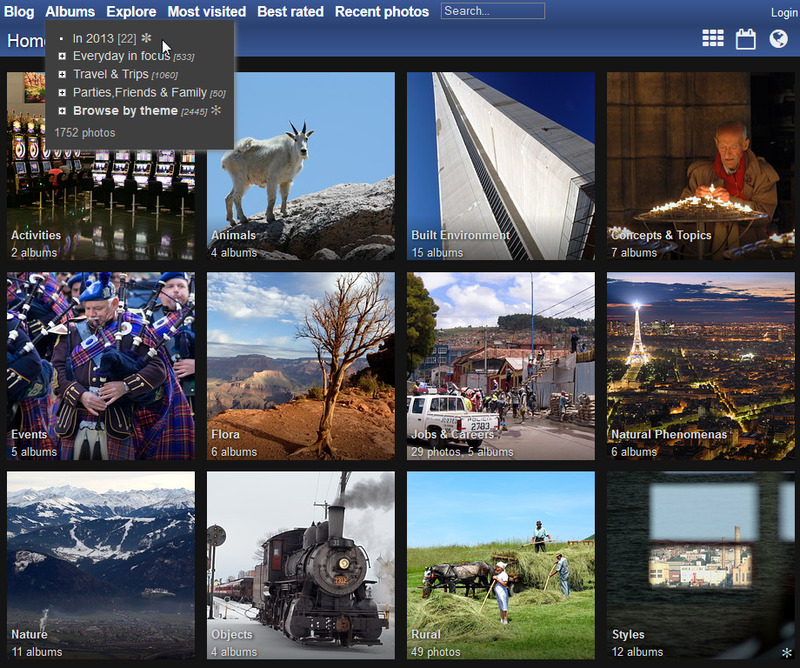 Looks perfect with Fotorama, Menu Random Photo, GThumb+ and RV Thumb Scroller plugins. Smart Pocket theme should be disabled for activate this plugins on mobile.